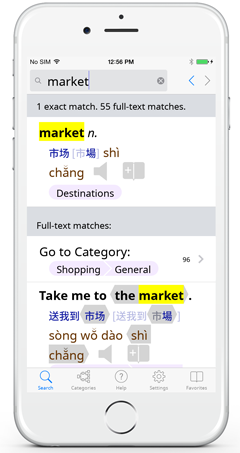 Word in the Hand™: The world's best Thai and Chinese talking Dictionary and Phrasebook apps from Paiboon Publishing. 15,000+ words and ready-to-use, customizable talking phrases in 250+ practical categories. Perfect even if you have no time to study Chinese. 16,000+ words and ready-to-use, customizable talking phrases in 250+ practical categories. Perfect even if you have no time to study Thai. 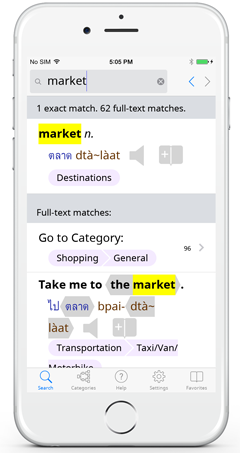 JUST UPDATED: 195,000+ entries, built-in 12,000+ entry phrasebook with 300+ categories, crisp clear native sounds for every Thai word, even offline, search for English or Thai even if you don't read Thai Script, includes mind-blowing features to help you learn Thai—nothing else even comes close! 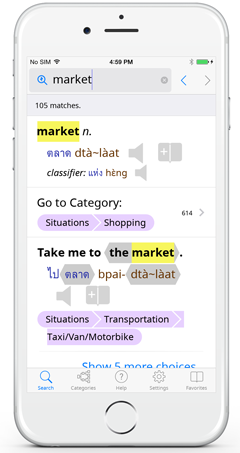 Perfect tool for Thai learners, tourists, and expats.